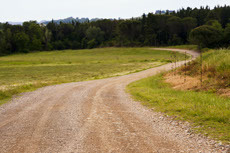 Even within our farm you will be able to enjoy hour-long walks, and beautiful rural views. For the most demanding guests there are paths through vineyards and olive groves that can lengthen the walk to half a day or a full day, while if you want to keep fit by jogging, the area is full of possible footpaths: all you will need is your legs!. Our streets are the home of touristic cycling, from town to town or farmhouse to farmhouse there are paths and streets for everyone that will take you to the discovery of ruins, villages, towns and cities enjoying immense landscapes which will remain with you forever. 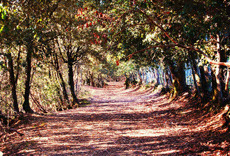 We are in a strategic position: the Podere Barbaiano is at the heart of historic Tuscany. It is12 km from Volterra, 23 km from San Gimignano and Colle Val D'Elsa, 60 km from Siena, 70 km from Pisa, and 80 Km from Florence. So you can reach these places with ease while enjoying unforgettable views. For more information see: Location section area. From September to December in our farm’s woods and the ones surrounding the farm, we reserve unique experiences for those who love mycology or are culinary fans, The flora of the forest is composed mainly of Quercus ilex, Quercus pubescens, Quercus Leccis, Pineo Pinus, Arbutus unedo, and gather there in abundance: Amanita Caesarea, Amanita rubescens, Amanita Ovoidea, Fulva Amanita, Boletus Aereus, Cantarellus Cibarius, Macrolepiota Procera, Russula Aurata (for beginners: eggs, porcini, chanterelles, drum sticks, doves). 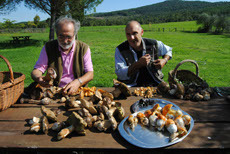 Company experts are always present in mushrooms and a mycologist who will help in sorting when you need it.